For those who don't just play soccer but instead live it, the Nike F.C. collection is fashion inspired lifestyle sportswear for your time spent off the pitch. Using high quality materials and unique designs, the Nike F.C. range includes shirts, pants, hoodies and more that not only look fresh but also tell everyone you're serious about your soccer. Supported by Neymar Jr, Raheem Sterling, Jack Wilshere and other Nike sponsored athletes, the Nike F.C. club is home to die-hard players who strive to be the world's best. 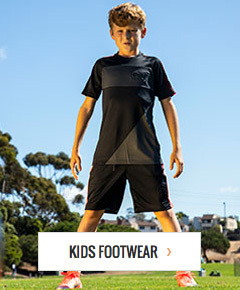 Shop soccerloco now for the latest Nike F.C. styles with low flat rate shipping and easy returns.